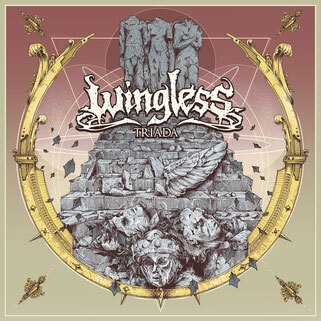 Wingless is a doom metal band from Cracow, Poland, formed in early 2012. 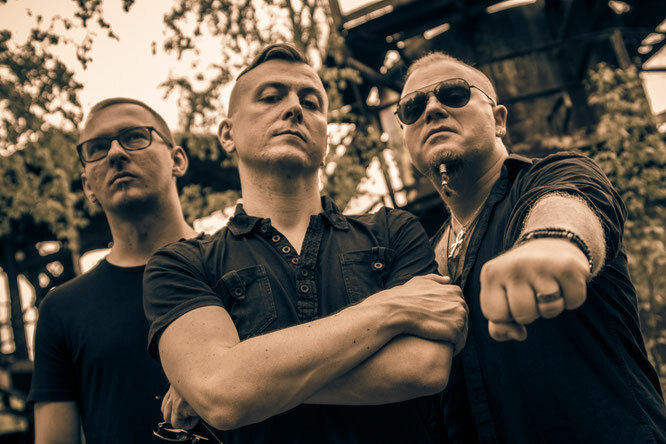 Consisting of experienced musicians associated with a number of other bands of the local metal scene (Olaf Różański on vocals, Grzegorz Luzar handling both guitars and bass parts, and Piotr Wójcik on drums) the band has recorded three full albums – “Hatred is Purity” (2014), “The Blaze Within” (2016), and “Triada” (2018). Considered as the most mature material in the band’s history, the album consists of 9 tracks and clocks in at 43 minutes of extreme metal music, with a very dark character and an atmosphere that is reminiscent of the doom metal scene. This influence can be heard in the vocal parts and in the reverbed guitars, but also on the way the songs themselves are constructed. 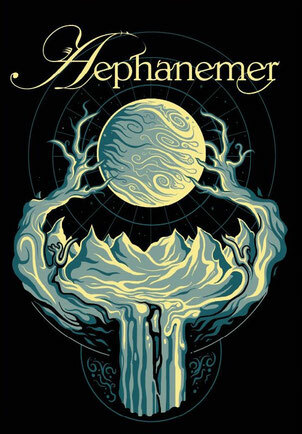 Track no 10 is actually a cover created by Rafał Wechterowicz, an artist who also put his signature on the covers of Slayer, Perfect Circle, Mastodon, and Behemoth. Following the aesthetic of doom metal, with the occasional death metal vibe, “Triada” is laden with guitar riffs, thunderous drum beats, and a vocal delivery which alternates between growls and melodic cleans. After a rather atmospheric intro, “Anthem to Innany” starts full force with death metal-like riffs, but slows down for some calm moments, with some beautiful clean vocals from Olaf Różański, before building up in intensity towards the end. The very doomish “Tales of sleepless nights” brings to mind Paradise Lost, as it goes back and forth between growls and almost operatic cleans, and a melodic backdrop coming from the guitar lines. The lengthy “Unnamed terror” continues to dig deep into the pits of doom metal, while also exploring some atmospheric death metal. “Wasteland man” is a bit more up-tempo than the rest, because of the alert drumming parts and faster paced guitars, but just as dark and brooding. For some reason “To the blue girl” reminds me of Type O Negative, as Olaf Różański seems to channel his inner Peter Steel. “Captain’s dreaming” and “Tired of this fear” don’t bring any new surprises to the mix, while “Mount Improbable” closes the album on a rather intense and doomy note. There are a few things that bug me about “Triada”. First of all, the vocals are drowned by the guitars, I can barely hear the words at times. Secondly, I wish there was a sense of melody in most of the songs, as “Tales of sleepless nights” or “Wasteland man” do stand out from the rest. Also, there could be somewhat more variety to the songwriting, as the same type of chugging riff pattern is used and the vocal lines, while they do alternate between styles, are more or less the same (the bonus track “Center of the Universe” and, “To the blue girl”, as mentioned, offer some variety in this sense). Basically, it’s a lot of the same, and after a while it becomes a bit predictable. Maybe fans of extreme metal can appreciate this album more.